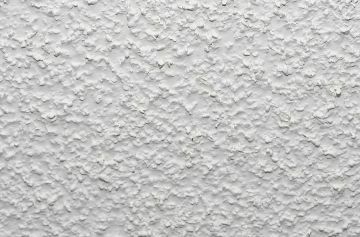 Ready to remove that outdated popcorn ceiling? in Sugar Hill? Installing popcorn ceilings in Sugar Hill homes and businesses was very between 1960 and 1990. They were the contractors' choice for an inexpensive method to camouflage ceiling texture imperfections. These days, when people modernize their homes by painting in Sugar Hill, popcorn ceilings are frequently being removed. Amazing Detailed Interiors has been skilled and respected painting contractor and popcorn ceiling removal contractor in Sugar Hill since 1987. Give us a call for a free quote at (646) 680-0087. Sugar Hill Popcorn Ceiling Removal is Messy Work! This is one job you'll definitely want to outsource! Removing those popcorn bumps from ceilings is a messy, time-consuming job. The ceiling must be saturated with a chemical solution and scraped smooth. Special care must be given not to gouge the drywall or there will be repair work involved. Let Amazing Detailed Interiors remove the popcorn ceilings in your Sugar Hill home or business. Our painting professionals are skilled in popcorn removal, and can have the job completed quickly and cost-efficiently. All flooring and furniture will be protected and we leave nothing behind but beautiful new ceilings. Amazing Detailed Interiors painting professionals have provided popcorn ceiling removal in Sugar Hill, New York for over 32 years. Our professional painters will be sure to protect your belongings and take care of this messy job very efficiently and affordably. We'll provide a fair quote and complete the job within a reasonable time frame. Once the popcorn is removed, we will re-texture your ceiling to a more modern style of your choice. You'll be thrilled with your new, modern-looking ceiling!